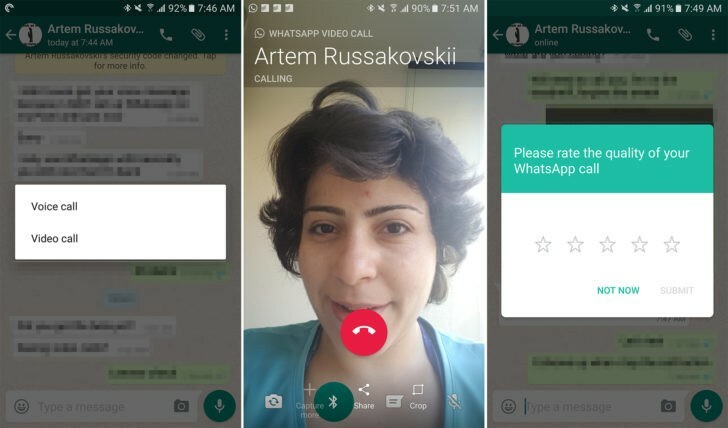 Good news guys, your favorite social chatting and one of the most popular messaging app in the world – WhatsApp, has finally started rolling out their Video calling feature. It is the feature that we have been expecting for long and now, it is up for grabs. Whatsapp is doing all things possible to remain top chatting platform in the world. Few hours back, WhatsApp began rolling out Video calling features to some beta testers and I’m pretty sure before today ends, a lot of beta testers will be rocking WhatsApp video calling. As long as you are a beta tester, you only need to update your WhatsApp if available to the latest beta version and you should be sure to receive the video calling features. None beta testers should breathe easy up till the main update gets to Google Playstore. Note that it went live only after updating to latest WhatsApp 2.16.318 Beta. Works only when both caller and receiver have latest beta version installed. Google Duo video calling is what we are using for a while to make video calls, but I know far more people who use Whatsapp than Duo. Now that Whatsapp video calling is live, hope you guys won’t move Duo to wastebasket?